If you’re thinking about taking a cruise holiday this year, have no doubt that it will be one of the best vacations you’ll ever experience. Cruises can offer so much more than a typical summer holiday, and because the sun, sea and sand are just some of the many extras a cruise can provide, you’ll have plenty more exciting activities and excursions to fill your time with! 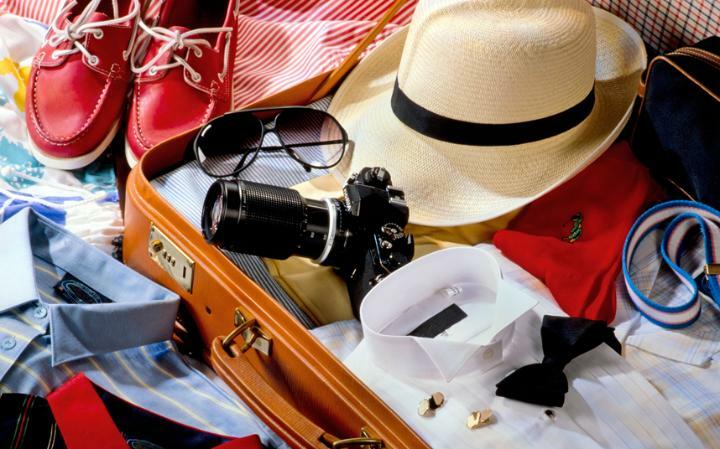 There are, however, some essential items that you simply shouldn’t forget when packing for your river cruise holiday, so check out our list below and make sure you depart fully prepared! Travel documents are some of the most important items that must be in your case before you depart for your river cruise holiday. Whether you’ve experienced city river cruises before, or you’re booking a Seine river cruise for the first time, having the right paperwork for your destination is paramount. From your passport to a visa, you should check with your own embassy, the destination country embassy and also your cruise company to ensure you have the right paperwork. Thankfully, most cruise companies will organise this paperwork for you, however checking these items for yourself will allow you peace of mind. Maybe the most important of all must-pack items, your medication is one of the first things to put in your suitcase when departing for a river cruise holiday. If your cruise is taking you anywhere hot or exotic, it is essential that you see your GP at least a month before you leave, as you might need injections or specific tablets for that part of the world. Furthermore, if injections are required, be sure to pack your proof of vaccination. One of the best things about a river cruise holiday is the variety of destinations you’re able to visit in a single trip. However this means that you’ll have to pack for a variety of climates, especially if you’re cruising the rivers of Europe. Always check the forecast for your destinations a month before, as this will allow you to pack the right clothes and dress for the weather. Don’t forget comfortable footwear too! Another essential item to take on a river cruise this summer is a mobile phone that works abroad. Your cruise ship will most likely have Wi-Fi access and you’ll probably have a phone in your room too, however you won’t be able to use any of these features when you leave the ship on shore excursions. iPhones and other up-to-date smart phones will automatically detect what country you’re in and apply the local rates and area codes to any calls you make. However if you’re using a phone that doesn’t offer this feature, you’ll want to unlock it so it will be able to accept any country-specific sim card, allowing you to make calls abroad. Make sure you avoid carrying around excess cash when visiting the cities on your river cruise holiday, simply by taking small bills with you. Tourist hotspots will typically be home to markets and bazaars, and these places rarely entertain big bills. In many cases however they will entertain bartering, which means you’ll definitely need smaller bills to purchase your bargains!